Enjoy Unlimited Play at Fun Depot on your birthday! 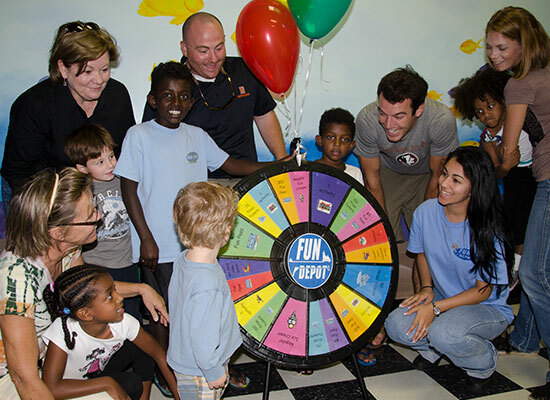 Register for your FREE Day of Play at Fun Depot on this web site (you can register up to four additional family members, per email address, for their birthdays, too). You will receive a special e-mail confirmation coupon to print out 3 weeks prior to your birthday. (If you have a problem printing your confirmation please call Fun Depot at (561) 547-0817 prior to your visit and have Fun Depot print your certificate.) You can also bring in your mobile phone with the email confirmation email and we can scan that! You must be registered to receive a FREE Play Card. Bring your confirmation email and proof of your birthdate with birth certificate or driver’s license to Fun Depot. Enjoy a FREE Day of Play at Fun Depot! You MUST be registered with the Fun Depot birthday club and bring in your invitation certificate and identification to receive the free 3 hour pass. *NOTE: You will receive a confirmation email after signup. Click the link in the confirmation email to ensure that you are added to the Birthday Club.